This bracelet began as silver wire that was forged on two sides to create the twisted shape. It was hammered multiple times to create the final asymmetrical form. 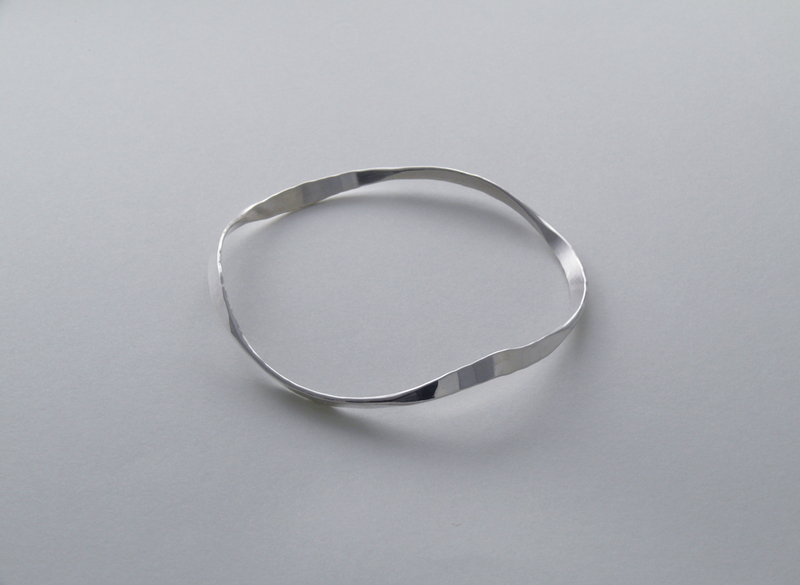 Created from a thinner stock of silver wire than Torc Twist Bracelet I, this bracelet is lighter and narrower in dimension. Stack this silver bracelet with other bangles for a stylish statement or wear it solo for a delicate look.